Equipping marketing teams with the SEO skills, systems, and tools to increase revenues and leads from Google. 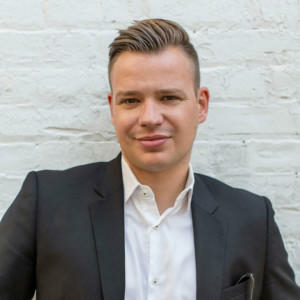 Matthew has delivered SEO workshops in twelve markets for TechMedia’s Digital Summit events. He is a fantastic speaker, I’d wholeheartedly recommend him! Matthew Capala’s SEO Bootcamp and the ongoing ‘SEO Commando’ workshop series has been key to ensure SEO success at L’Oreal USA! Actionable SEO workshops, seminars and keynotes for marketers that feel like a perk! Matthew will teach your marketing team to create compelling content in a high demand, using the highest performing keywords, in a both fast-changing and regulated industries, no matter what Google has thrown at them. If you cannot explain it to a 5-year old, you cannot explain it to an adult! Matthew, affectionately referred to as “Tony Robbins of SEO,” has succeeded in transforming marketing teams leading to 10X results for clients, brands, associations, and agencies in regulated and highly-competitive industries, including healthcare, financial, legal, pharmaceutical, gaming, financial, insurance, CPG, and many more. SEO Workshop is a high-energy, comprehensive, and results-oriented training experience for marketing teams and businesses. From beginner to blackbelt, the workshop will take your team from where you are to where you need to be. Empower your team with the tools, workflows, templates and education they need to increase organic search sales, leads, and traffic. Matthew rocked the stage at our annual International Marketing Summit in Italy. We especially appreciated the “open your eyes” moments in his analytical and also highly motivational and practical speech. The SEO workshop, tools and the training provided were absolutely invaluable and enabled my team to begin implementing best practices for SEO into everything they now currently do. I’ve been very impressed with Matthew’s knowledge of SEO, but perhaps most of all by his ability to translate more complex ideas into simple language that our workshop attendees and training participants at MIX Caribbean conference could understand. Matthew was an incredible speaker and a wonderful addition to the global digital workshop. As a regular speaker for our Digital Summit event series, Matthew proves time and again the value he brings to any organization. If you’re looking for an excellent speaker, Matthew’s your guy. We have more videos available upon your request. Matthew Capala is an international SEO and content marketing strategist, speaker, author, and entrepreneur. He founded Alphametic, a global boutique search marketing agency delivering transformative strategies for mid-size to enterprise clients, including L’Oreal, Novartis, Shopkeep, Hoval, and Quest Diagnostics, and SearchDecoder SEO Training Institute™, which offers basic and advanced SEO workshops and certified training solutions for marketing professionals and businesses. Matthew is the author of bestselling “SEO Like I’m 5”, now in its’ third edition, and writes on The Next Web, Entrepreneur and Social Media Today. His groundbreaking work and ideas have been featured in Chicago Tribune, Huffington Post, Mashable, Problogger, and Inc. Matthew has been hired to speak on main stages at some of the largest conferences and brands in the world, including Internet Summit, Social Media Week, Techmunch, Digital Summit, AMA, and ePharma. He’s been invited to deliver his trademark SEO workshops in destinations ranging from a luxury retreat in Trinidad to a corporate summit in the Swiss Alps. Capala’s offices are headquartered in Miami, and he serves actively as managing director of both Alphametic and SearchDecoder. SearchDecoder SEO Training Institute™ offers basic and advanced SEO workshops and certified training solutions for marketing professionals and teams. The end result is a complete makeover of your online visibility that leads to increased revenues and conversions. Founded by Matthew Capala, a search marketing veteran, author, and speaker, SearchDecoder SEO Training Institute™ offers a wide range of training solutions, including workshops, bootcamps, webinars, online courses, books, and private classes.